Social media are websites such as Google+, FaceBook, LinkedIn, Pinterest, Twitter and Tumblr. Picture all this as bulletin boards in the 21st century. Remember the bulletin boards in the back of classrooms, or at the hallways in college. Social media are serving the same function as those old-fashioned bulletin boards: information spreading. The bulletin board in the back of a classroom in the first grade usually posted alphabet stories, and field trip photos. 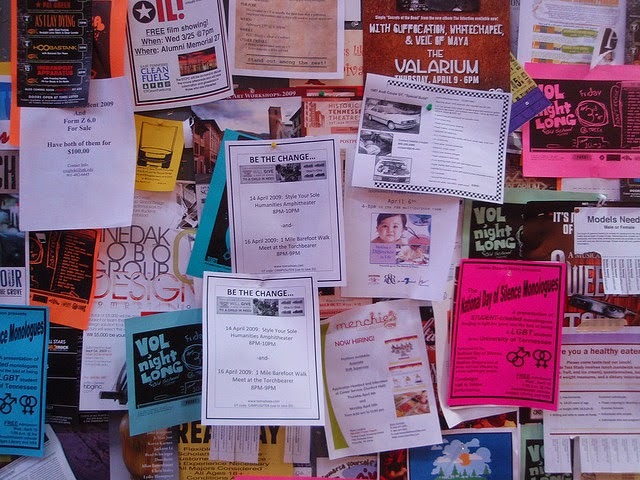 The bulletin board in college campus posted information about parties, or school events. We use the verb "post" for putting up information on a bulletin board. Today, people post a post on Google+, or FaceBook. The same word "post" has been used, because they serve the same function. The two main differences between the 21st century internet bulletin boards and old-fashioned real bulletin boards are information and feedback. Today we can put almost anything on internet bulletin boards. Posts about daily lives, work lives, and even dating lives are all over the internet. Why do so many people like to read those posts? Because humans need connections. Those internet bulletin boards create connections for those who do not live close-by any more. About the time my parents grew up, 70 years ago, the family used to live in the same town and they connected with each other by going over for dinners or teas. In the 21st century, to have the whole family live in the same town sounds almost backward. Many of us travel and land in some exotic places so far away from our family. In the past, they would call this an expedition, or a voyage of life time. Today, many are doing it on the daily basis. Those websites allow us not only to post information up , but also to get back what others think about our information right away. And why does “ thumbs up” become so important these days? The same reason: humans need connections. When we talk face to face, we love to hear people say “Yeah,” “You are right,” or “That’s so true.” The same with the thumb thing. Now, why are there so many internet bulletin boards? Of course, because they function differently. It is almost like why we pick up a truck over a sedan ,or vice versa. Based on our needs, or popularity, we pick up what type of social media that we like to use. Read related article: Which Social Media Should I Use?